Nine years of researching the background to my novel The Devil Dancers introduced me to some fascinating historical characters. One of the most remarkable was Sir Oliver Goonetilleke, one of the key architects of Ceylon’s Independence and the first Ceylonese to hold the post of Governor-General. This is the first of three articles on one of the most brilliant statesman of his generation. Every so often, a clutch of papers is released by Britain’s National Archives following a 30 year embargo. While most historians and journalists dream of discovering a juicy scandal – perhaps some questionable relationship between a Cold War politician and a spy – many of these documents appear insignificant and the reasons for keeping them in ‘cold storage’ obscure. Such might be the conclusion when viewing the few humble sheets of paper that relate to a brief diplomatic exchange in 1977 in which a flurry of memos passed between the British High Commission, Colombo and the Foreign and Commonwealth Office, London. The effect of this terse note was to poke a stick into the Whitehall ant-heap, raising awkward questions of royal protocol and Britain’s diplomatic relations with Sri Lanka. The subject of all this activity? An 82 year-old ex-patriot, one of the most gifted politicians of his generation, who had been living in London in self-imposed exile for some 17 years. At first glance, the curriculum vitae of Sir Oliver Goonetilleke appears somewhat pedestrian. The only son out of eight children, he came from a respectable middle-class family, his father holding various positions within the Postal Service. Brought up a Christian and educated at Wesley College, Oliver showed promise, yet lacked the vital impetus of wealth and status. His attempts to gain a scholarship to study in England failed and he was overtaken by wealthier contemporaries whose degrees from Oxford or Cambridge virtually guaranteed them a place on the fast-track to positions of influence and political power. Behind the scenes, Sir Oliver assiduously forged his own path to the top working his way through a series of worthy, but unexciting-sounding posts, such as a sub-accountant at the Colombo Bank, assistant auditor in the government railway service and Colonial Auditor until, finally, he obtained the post of Financial Secretary of Ceylon. Accountants rarely transform into super heroes. But Sir Oliver broke the mould. A good head for figures was just one of his many talents. He was also a consummate negotiator and political tactician who not only oversaw the safe transition of his country to independent status but who managed, on at least one occasion, to prevent the early onset of the ruinous civil war to which it finally succumbed. He acquired many powerful friends who included fellow exile and former Prime Minister Sir John Kotelawala. Their first meeting set the tone of their future relationship. Sir Oliver had returned to Wesley College as a teacher and was refereeing a soccer match with Royal College whose team captain was Kotelawala. Sir Oliver recounted how “not long after the match started, the rival captains forgot soccer and in the course of play started to rush at each other like two warring bull elephants.” Taking swift and decisive action, Sir Oliver sent both captains off the pitch. On a subsequent occasion, his skills of diplomacy once more came into play when the hot-tempered Kotelawala, now honorary Secretary of the Orient Club, settled a dispute with his fists. Heading off a move by outraged members to eject Kotelawala, Sir Oliver suggested he resign his post and remain as an ordinary member; a tactic that proved agreeable to all sides, ensuring Kotelawala’s continued membership and his future patronage of the Club. There was also a benefit for Sir Oliver who “consented to fill” the post from which he had persuaded his friend to resign. The feisty Kotelawala was just one of a growing circle of powerful friends that Sir Oliver gathered around him. Others included D.S. Senanayake who was to become the first Prime Minister of independent Ceylon and Lord Soulbury who lent his name to the new Constitution implemented in 1946. Despite the lack of a glamourous public profile, Sir Oliver’s brilliance as an administrator brought him to the attention of the British during World War II when Ceylon was in imminent danger of attack from Japan. He was asked to lead the Civil Defence Department, an appointment that marked a significant departure from the norm. Sir Oliver set about this new task with his usual energy and enthusiasm, drawing up plans for the construction of 60-foot wide fire-gaps in Colombo which necessitated the bull-dozing of many buildings and the relocation of their occupants. However, he was to reflect bitterly on the tardiness of the compensation paid for these acts of destruction. Words which could be applied to similar arrangements elsewhere in the 21st century! In fact, Sir Oliver’s role in Civil Defence had unexpected advantages when members of the Soulbury Commission visited Ceylon in 1944. Negotiations for the country’s independence had not progressed as quickly – or as far – as the Ceylonese had wished. However, instead of confrontation, Sir Oliver launched a charm offensive, using the civil-defence organisation to transport the Commission members around the island and ensure they had a memorable trip. Sir Oliver’s partnership with D.S. 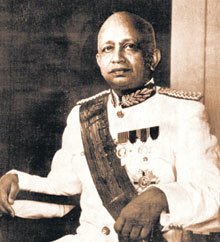 Senanayake was another key element in the smooth transition to Independence. When Senanayake, frustrated by the shortcomings of the Soulbury Commission, threatened to push ahead without them regardless of the consequences, it was Sir Oliver who interceded, advising moderation. The result of this hard work, based on goodwill and moderation, was a triumph for Senanayake in the State Council. After a speech in which he urged representatives not to “refuse bread merely because it is not cake”, the British scheme was passed by 51 to 3. Observers, such as Sir Ivor Jennings, were in no doubt about the extraordinary achievement of the Senanayake-Goonetilleke partnership. Without them, he believed, Ceylon would have remained a Crown Colony. If so, who knows what it might otherwise have had to endure before gaining Independence? *Rare footage of Dominion Prime Minister of Ceylon, D.S.Senanayake with Dominion Prime Ministers in the garden of 10 Downing Street in London – the official residence and office of the British Prime Minister Clement Attlee. This was filmed in 1948 – just after the ending of World War II and Clement Attlee had won the election defeating Sir Winston Churchill. Accompanying the Prime Minister of Ceylon is Sir Oliver Goonetilleke also in the garden of 10 Downing Street in London. Thank you Ms. Thurai for taking us down memory lane. I had the pleasure of meeting Sir Oliver many times in the Athletic field. From 1951 whenever he was Chief Guest at the National or Public School meet, Carl Van Geyzel would bring him to the high jump pit to watch us jump. Carl Van Geyzel who was President of the CAAA was a high jumper who jumped for Oxford and also represented Britain in the high jump at the 1924 Olympic Games. He was Ceylon’s first Olympian. In 1961 when I returned from Univ of California, Los Angeles, I was unemployed for a long time. Sir Oliver having heard of it invited me to the Governor’s House. After discussion over Tea he offered me a job in a Tea plantation. But before a month was up there was an attempted Coup by some police and army hierarchy. For some reason Sir Oliver retired and left the country. He was always a gentleman and had a demeanor all his own. He was well respected by my generation. Thank you for posting the historical film of Sir Oliver, DS, Nehru and all other Prime Ministers. Sir Oliver’s and Sir Ivor Jennings diplomacy and constitutional expertise in including Sect 29 kept the Communities together. Sadly it was violated and dropped that lead to so much bloodshed. We are still in conflict and nearing the precipice once again. Nice to hear from the legendary Ethirveerasingham , one of our foremost athletes of times gone by.His records were stupendous for a newly emergent country like Sri Lanka,after nearly 500 years of colonial rule.His achievements are fairly close to that of another great, Duncan White, who brought us the 1st Olympic medal.I believe Mr. Ethirveerasingham was a Royalist whilst Mr White was a Peterite. Let us also not forget the the great boy from the backwoods, S L B Rosa ,who brought us glory at the Asian Games. These were true Lankans who put Ceylon/ Sri Lanka on the world map with sheer performance while having a minimum of resources at their disposal. Let us always remember them. In your enthusiasm to present the begging bowl philosophy to the west you dont even seem to research your own sportsmen. He is a proud product of one of the historical education institutions of Sri Lanka, Jaffna Central College. Though I grew up at Colombo like other Anglo Saxons who were born there just before the nationalisation of private and sterling companies. We left 8 years later. Suddenly on Euro star I met the ginger head 3 months ago (she works for UCLH) and wanted to show her teenage kids Colombo 2 where she was born. 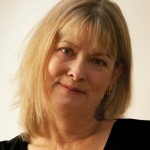 She knows much more than most as her parents were executives of commercial company. @ Javi or who ever you are. 1) You seem confused. How can a comment remembering sportsmen of old constitute a ” enthusiasm to present the begging bowl philosophy to the west ” as you opine. 2)Comments of the kind appearing here are mostly made off the cuff and do not need any great research of a kind required for an article.Furthermore you have failed to notice that it was my ” belief” that Mr Ethirveerasingham was a Royalist and nothing more. If he happens to be a product of Jaffna Central so be it .No need to fuss and fret, unless of course you think that Jaffna College is located in another state. 3) As for your ” Anglo Saxon ” upbringing no one would be bothered because unlike Mr Ethirveerainham et al, you are, to put it plainly ,an absolute non entity, simply a nobody. 4) Who ever you are referring to ,the mere fact of ” parents being executives ” does not by that very fact confer knowledge . Knowledge comes primarily due to interests and circumstances to gather such knowledge are at best only circumstantial. As for your traveling on Euro Star no one cares a damn. So you want the names of 2 big gun JT’s with world record- one of the past and the next presently serving term. JT- Raj Rajaratnam – Fraud in Insider Trading should come out by mid 2021- 11 years highest. BTW Los Angles is a Spanish name like Texas. Javi, you call yourself “Anglo Saxon”. So are u really Caucasian or just pretending to be one? Your rather poor command of the English language certainly indicates that you belong to the latter. Para Demala (Para desh from across the straits) thinks like young one. We think- It `takes long to be young` you old fool. You are praising Hitler by repeating lies so that it may turn out to be true. Another of the tamil terrorist who ran away in interscene wars trying to demand 50% of the island and JT’s arent even 3 % of the population- just another set of mercenaries like the ones you created down south. Any kid who attended colombo public schools sports meet and tried a hand at pole vault or high jump just heard of the mango boy from jaffna. You just ended as a villager which you are- puta madre cabeza! When Ethir came to Colombo from Jaffna he was at St. Joseph’s College, Darley Road where the legendary Fr. Peter Pillai was Rector. I believe Duncan White was a Trinitian, although I am open to correction. SLB Rosa, I believe, came from an Ampitiya Govt school in the Kandy District. This school produced many national distant runners of the time. All three men brought great credit to their mother country. It is relevant to mention, in these days of communal division, Ethir had the inspiring support of Chrisie Seneviratne, the Sports Editor of Daily News, without which Ethir would not have been in our team for the Asian Games in Tokyo. It’s easy to reminisce Asia. Duncan White won a track event. No Asian has ever won a track event at Olympics why so?? they cant swim but the track is Always for Bolt folk. Thanks for your positive comments and personal insights regarding this article. One of the most enjoyable aspects of writing these items is the fact that they not only elicit fascinating first-hand accounts from readers about the immediate subject but also lead to unexpected and interesting topics of discussion. I am very interested in your memories of Sri Lankan sportsmen. Definitely a topic for further study! Could we know a little more about Mr. T. Thurai. What he did here and where – as well as a little more data on Mrs. Thurai’s academic background. Backlash what are you reading a Mickey Spillane one lonely night?? Why have you dreamt of H Chase?? The set of 3 articles centre around two boroughs across continents- Cinnamon Gardens and Westminster. When folk who live in both for generations have no qualms why ask for ID?? Aren’t yours very revealing indeed?? BTW part of the answer to your query lies above in article- blog and www address isn’t it?? Does this Article has any value or answers to the current crises in Sri lanka. The Tamil leaders who fought alongside D.S.Senanayake for freedom are not there and are not spoken of. 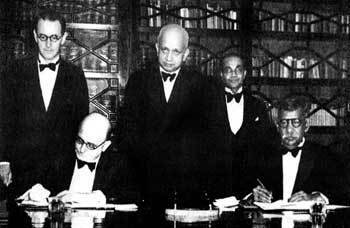 The Tamil leadership had to sign the Memorandum prepared by the British then to obtain freedom and they foolishly signed it. If this article is only meant to be of Goonatilake- not interested at all. Over 300,000 Tamils killed, raped, burnt to death alive, properties looted, damaged, confiscated since 1956 up to now by the majority Sinhalese. Is it enough?. Is what the Tamils want? The British government is answerable for it. Come,Come Ms,Thurai:Are you sure that there was a SOCCER match between Royal and Wesley?Many Royalists I know would consider it sacrilegious to even suggest that they played soccer at Royal College.In Ceylon of old we distinguished between “Soccer playing schools” where the hoi polloi studied and “rugger playing schools” where the land owning gentry sent their children to be made into good Englishmen,albeit a little suntanned! So, what use is this article for? Is it to show that the British taught Lankans good gentlemanly behavior? Nope! Never suited the country in the long run. That British upper-class behavior was too out of synch with the masses. It made them miserable. It created Anglicized gentry so different from the traditional Lankan elite. Masses couldn’t cope with the degradation. Traditional upper-class mannerisms thus eradicated, country lost its ability to think in rational terms. Hence the 30 over years of civil strife. Sanity is slowly coming back.Please don’t ever dream of encouraging the la-di-da system again. a discovery of the British in the mid-19th century. If not for them were would have been no Anagarika Dharmapala, SWRD and the Sinhala Buddhist revolution, pseudos like Nalin de S, Gunda Amerasekera or the JHU. 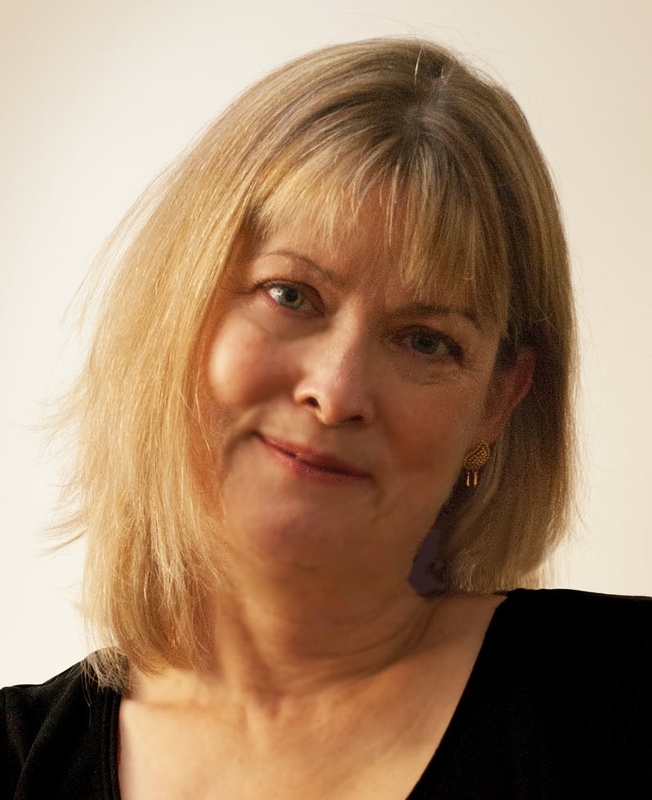 Is Ramona’s proud legacy that Leonard Woolf wrote the native Sinhalese were so backward, in many places, they were virtually living with their canine cousins with both dog and human faeces all over their body – and almost completely naked. Have a sense of honesty and proportion, good lady. We must be grateful to the British for our system of governance (until the Chinthana came along) the educational institutions, the justice-police system, the hospitals, the roads, the railways and a dozen more upon which today survive and that which we call our society. It was they who cleared hundreds thousands of hectares of waste jungle land and converted them into virtual paradise in terms of beautiful Estates that grew Tea, Coffee, Rubber and Coconuts – industries upon which all governments since 1947 relied on to finance their service and welfare budgets. If you claim to call yourself hailing from a civilised and culture – please show some gratitude. Shezzz!…..you haven’t a clue or appreciation, have you, of Lankan ancestral and ancient roots. Sinhala/Tamil culture runs deep and ingrained, unlike European culture. European/English culture, those cultures merely on a tip of all things ancient and holy, sit in giddy heights, though in apprehension at their lack of foundation to the profound and multifaceted understanding of human nature and civilization. When British attempted to realize our profound civilization, they quickly put it to the context of their own understanding of the times. The Mahawamsa, always a peaceable Buddhistic part of Lankan heritage, was taken out of context by the damnable British, by a few words and lines. They got highly aroused by the whole thing, and put it into racial context. Hence the advent of Anagarika Dhamarapala, who though possibly a good man, was thoroughly misguided by persons like Olcott and Museaus. All the others like SWRD who came after him perpetuated the mythos ; Chelvanaygam gave sanction to arms. Thus we have seen the after-effects of the British scientific inquiry on the ancient Lankan system. All those big projects the British undertook only created masses of beggars driven out of their idyllic Buddhistic dwelling spots. If the British didn’t advance with their inquiry, let alone wanton destruction of Lankan eco-system for monetary profit, Lanka would have advanced into a glorious friendly eco-paradise, replete with non-polluting flying-machines(even going to the moon). And those people they witnessed living with their canines, they were the people living in misery after being driven away from their homes so tea and rubber estates could be built. The mud was holy Lankan mud (that looked like canine feces), that was rubbed on, to prevent infestations and give sustenance to the body (in the absence of food). Evidently Ramona is on a hallucinatory “trip” and I will not disturb her from that delusionary world she has created for herself. There was a greater British presence in what is now India and, admittedly, more exploitation of her resources – human and other there. But even the wisest and educationally well-endowed Indians – and there are quite a few there in that vast sub-continent – did not so far make the damning accusations our lady makes against the British Colonisers. They have, in a myriad of ways, shown the British where they were right and expressed due gratitude for that. Equally, they have expressed ire where this is due. I can’t believe that in this day and age of modernity, higher education, and intelligent speculation, there are actually persons still stuck on the archaic British system – the very system British decided it was time to abandon due to embarrassing superciliousness quite out of synch with the rest of the innocent and natural world ; a system that got them nowhere in the annals of history other than make quick money from the backs of others whilst destroying others’ natural and cultural heritages; a system that created World Wars due to imbalances in Europe where other European nations, who couldn’t keep up to the British colonial system (aristocracy and all), had vastly imbalances and started crumbling on themselves. And you, Vathan are still worshiping with that outdated system? Shame on you! It is actually the same enthrallment of British systems that created the 30-year old twisted Lankan war. Tamil Vellhalas, oblivious to that another majority culture on the soil of Lanka, gave no regard to it, and shamefully progressed into terrorism to promulgate what they couldn’t/can’t see, beyond their own very fixated mindset. As per the Indians : For a long time, their lower casts were expected to endure the status quo (British and all). However, even nowadays, in this modern world of equality, equanimity, and freedom for all, adoration of the British system is seen as a tad…..inelegant. ~also : Tamil Vellhalas, oblivious that another majority culture existed on the soil of Lanka, gave no regard to it, and shamefully progressed into terrorism to promulgate what they couldn’t/can’t see, beyond their own very fixated mindset. I beg to disagree. And so will your dear parents, who, clearly, have taken much care and pain to give you a sound English education. And, what a fine job those good folks have done – going by the charming English you write. Not “inelegant” at all, do be assured. Much credit to you also. Do I continue this discussion I asked myself several times before I put pen to paper (or should it be finger to the keyboard?) But you conduct your debate, even those with a tendency towards even the acrimonious, I decided I will stay in the race. Surely you demonstrate those finer qualities the British system of education inculcated to her students all over the world. Debate based on dignity and decorum. Let’s give those once-mighty bulldogs some credit, shall we – at least out of common courtesy they ground on to us. Not that we yakkos – Sinhala and Tamil – lacked much courtesy except we kept kinifing each other over many a century. The Brits then came along gave us an inkling or two of the Magna Carta and other splendid features their society was refining, from which much of the world was to thankfully benefit. Our ruling elite took to these like fish to water. are you not guilty of naivette “in this day and age of modernity, higher education, and intelligent speculation” that you make mention to. From thence, seemingly confused, you then swing to many a subject in your defence reminding one of the drunk who leans to the lamp post more for support than for enlightenment – the 30 year old war, the now “love to hate” Vellalas and then to the lower castes in India. But, young lady, Ambedkar, the Father of the Indian Constitution, reached those dizzy heights in India – a massive country with so many contradictions – also because of the sound legal education British education gifted him with. Yet another beneficiary was that Madrasi mathematician Ramanujam, whose inherent brilliance was sharpened in the hallowed halls of Cambridge. Isn’t that why your blue-blooded Sinhala VVIPs from 1956 to now somewhat furtively send rattaran putha and chooty duwa to Ole Blighty with hopes they drink deep from the many fountains of knowledge in England. Is this what you call inelegant? Good Lord, R. Varathan , don’t you know the British learned these higher mannerisms only after they colonized the East and learned the Natives’ upper-class ways! They then refined these ways to suit themselves, and came to lord it over us after much demeaning and harassment, finally subjugating us. Why, we had the Kalama Sutta almost 2,000 years before the Magna Carta. We also had the Hindu philosophical texts for over 5,000 years. Don’t be fooled sir, for a second! Magna Carta indeed! England nowadays is the culmination of all that they learned from their colonies. Fellows are still learning and going mad about it. They went “Freedom of Everything” to understand their positioning the globe after the World Wars, and are now slowly trying to creep back to the control they had pre-colonial independence. And Varathan, you are the perfect specimen of the old-school to give support to their geo-political interests. Ps. Just picked up English from everywhere as it is…..ubiquitous. But to be fair to the British, after learning all the higher philosophies and values, language (including formulation of grammar), mathematical equation, from ancient cultures, they could be indeed poised, in this day and age, to give instruction in the ways and systems of the world that they globalized. However, mighty China has its own plans! NeHa! Hong Kong knows it better than you do. The babes over there don’t work in call centres or as housemaids. Mainland do believe that there are no friends when it comes to war (so they say win -win) and have 5000 kilometres of nuclear underground shelters. They will be flattened over there and and Lanka via Diego Garcia. Western Democracy is – most things are right at first sight then we start improving on it- there no conflict- peacefully and that is how the mind works. Keep this precept in thy memory. To Be or Not to Be- Shakespeare Hamlet.